Marvin Budd interpreting assisted by Pat Bryant at the GC Session. Marvin works with a deaf group near Andrews University and Pat with a deaf group near his home in the Eastern USA. 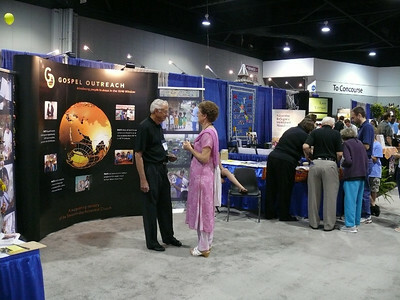 The Gospel Outreach booth where Pastor John Blake, Deaf Ministry Director, spent many hours. 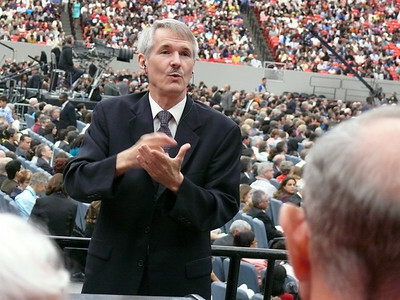 Gospel Outreach has around 40 workers for the Deaf in 7 countries and about 1,800 hearing workers in over 30 countries. 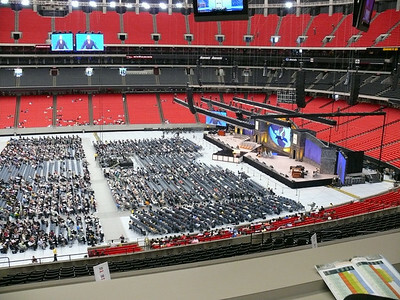 Most are employees of the local Conference/Mission but sponsored by Gospel Outreach. 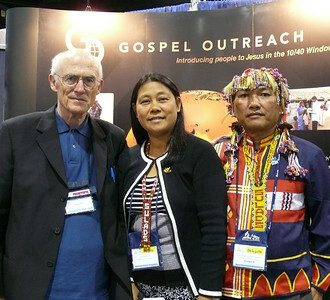 Pastor Blake at the Gospel Outreach [GO] booth with Sarah Famisaran and her Sarah is Sarah Famisaran is the GO worker for Mindanao, in the Philippines. Her husband, Daryl, is the SULADS director in Mindanao. 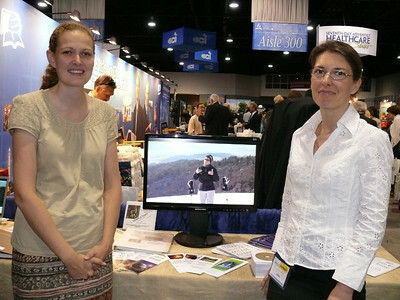 Both are strongly involved with Deaf Ministry. The SULADS (student missionary movement) are building a school for the deaf near Mountain View SDA College in Mindanao. 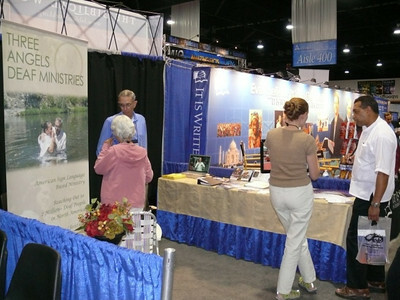 The Three Angels Deaf Ministry Booth which the Lord place right across the isle from the Gospel Outreach booth - so convenient for deaf work! 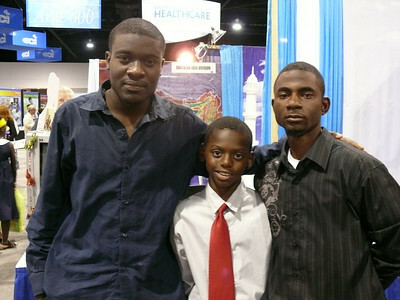 The young man on the right was visiting at the General Conference from Haiti. He had been there during the huge earthquake some months before. 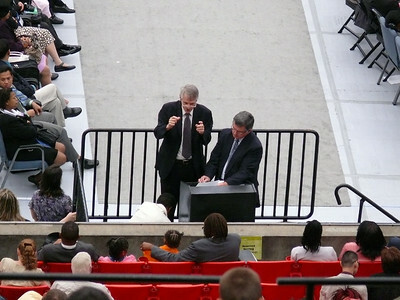 The man on the right is quite deaf and had come to the General Conference from England. 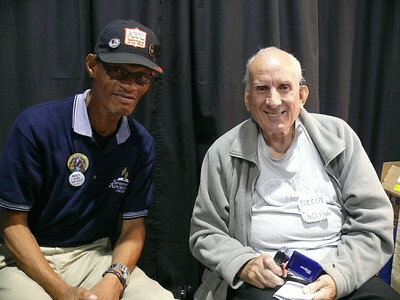 However, he could not sign, but stopped at the Three Angels Deaf Ministries booth.